I am excited to share a product with you guys that I recently tried called Jamberry. 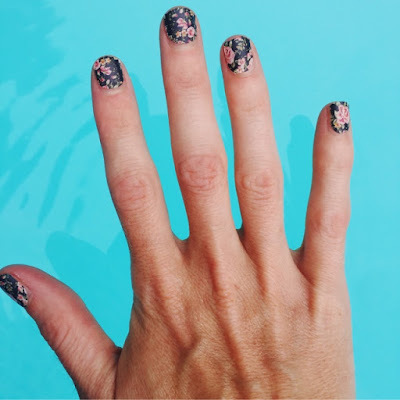 It has been around for a while so you might have seen it before, it's essentially a wrap-thing for your nails that lasts longer than regular nail polish. 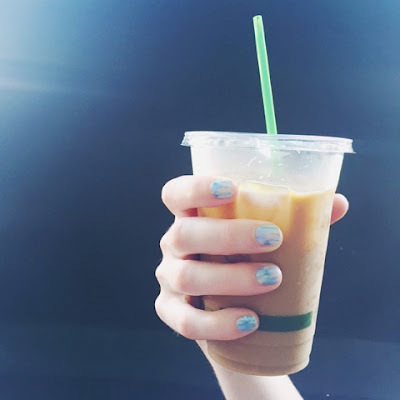 My friend Lauren sells them and she has been sharing her cute nails for so long that I finally decided to try it! I thought I would share a little pro/con list for you in case you had been wondering about them the way that I had been. Cute, cute nails. The designs are awesome, there is a lot to choose from and the styles are always changing. Long-lasting. They are advertised to last up to two weeks and mine lasted about 12-ish days, which is much longer than regular nail polish for me. They are non-toxic and you don't need to use chemicals to remove them. You just soak them in water and peel them off when you are ready to remove them. Price point. At first, I thought they were expensive ($14 per pack) but I realized each pack contains enough for two sets of nails and/or a set for your toes so I feel like it's a decent deal. If you buy three sets, you get one free. That is what I did and it was nice to get 4 different patterns at the same time AND getting a free set was a bonus. There is definitely a learning curve for application. My first try had a few bumps and ridges... they looked good from far away but up close you could tell they weren't perfect. However, my second attempt looked awesome! So I think it's a pretty fast learning curve. It bothers me that there is a shipping fee. I know that it's probably not a big deal, but I am so used to free shipping at most of the stores I go to, so it just kind of bugged me. Call me spoiled. Since you use water to remove the wraps, I felt like my nails lasted longer when I kept them out of water as much as possible. Obviously I went swimming (see above photo) but I have been trying to be good about wearing gloves when doing dishes and things like that (which I should probably be doing anyway so I don't have old lady hands when I'm 30). So, those are my thoughts. Let me know if you have any questions. 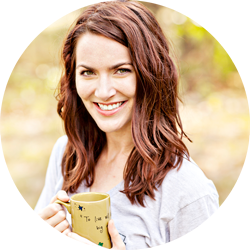 I enjoy reading un-biased reviews so I thought I would share mine (I bought the wraps with my own moola). But of course selfish plug is coming... If you are interested, I would be honored if you bought the wraps with my link :) My sweet nail lady, Lauren said she'd throw in a free pedicure set for anyone who orders from my link! 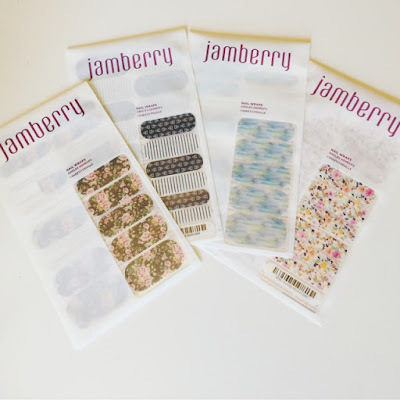 I've tried Jamberry a few times and liked them a lot. I think another con may be the time it takes to apply. It's normally taken me an hour. But the price point is great and the designs are all awesome! I love the ones you picked! I love Jams! I'm a consultant. :) I will say that even though they take a while to apply, the no dry time is the big winner! I remove mine with the cuticle oil. I haven't heard of removing them with water before! They look great! Love the floral and have always been intrigued by the idea of Jamberry. 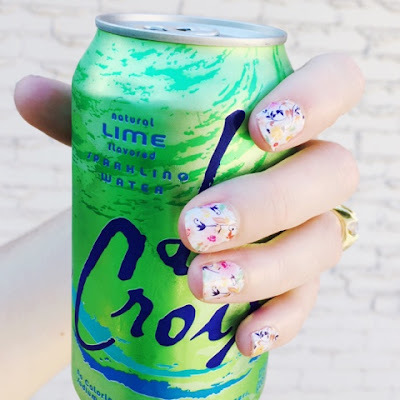 I rarely paint my nails because they chip so quickly so I could see that these would be awesome if they are long lasting. I agree with you = boo to a shipping fee especially when they're packaged flat. I agree on the shipping, plus I think it is high considering it is a flat mailed item. The Sunday Brunch ones are so cute!